Since 1997 AMTEK has made complex designs a reality by combining advanced engineering capabilities and extensive machining experience. Our customers rely on us to quickly, accurately, and economically produce parts that defy traditional manufacturing techniques. While we make significant investments in equipment, our employees are our most valuable asset. 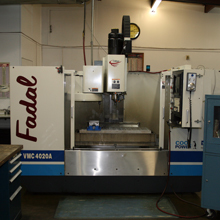 Our tool and die makers and machinists are among the most experienced and talented in the industry. Every employee understands their part in maintaining our high quality standards and utmost integrity toward you, our customers. 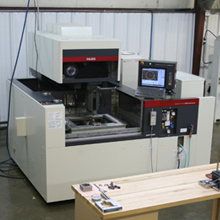 In addition to our CNC service we also offer a full line of mechanical engineering services including the design of complex custom fixturing, the design of automated assembly and inspection equipment and 3D Solid Modeling / Surfacing capability for such purposes as reverse engineering, rapid prototyping, design/material analysis, and contoured part nesting. 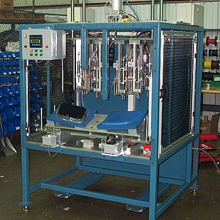 AMTEK can use your drawings or complete design to build your product. 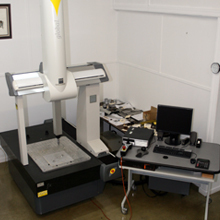 Utilizing the latest technology in measurement equipment and software, AMTEK offers the capabilities of reverse engineering, product inspection, and fixture qualification/calibration. Copyright © 2012. All Rights Reserved. Amtek, Inc.